The photography of Geoffrey Hiller has been published in magazines in the USA, Europe, and Japan including Geo, Newsweek, Mother Jones and the New York Times Magazine. He has completed dozens of photo essays in Asia, Latin America, Europe and West Africa and was on the staff of the Brazilian edition of National Geographic for two years. 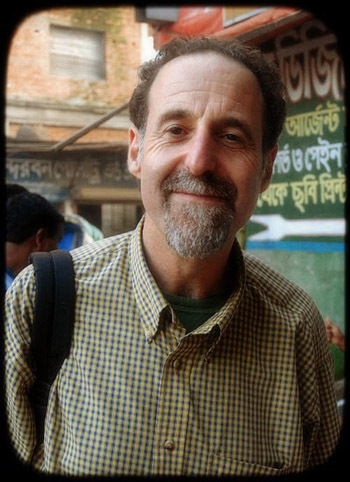 His award-winning multimedia projects about Vietnam, Eastern Europe, Ghana, Burma, and Brazil have earned recognition from Apple Computer, The Christian Science Monitor and USA Today. He has received grants from the Paul Allen Foundation, the California Arts Council, Regional Arts and Culture Council in Portland, Oregon, among others. Hiller was a Fulbright Scholar in Dhaka, Bangladesh in 2008-2009. Most recently he has been working as an international media trainer in India, Burma (Myanmar), and Cambodia. HIller is the creator and editor of Verve Photo: The New Breed of Documentary Photographers. His home is in Portland, Oregon.